In the UK, there are approximately nine million dogs and almost eight million cats - with around one in two households owning a companion animal. This large pet population is estimated to consume billions of tonnes of meat each year. 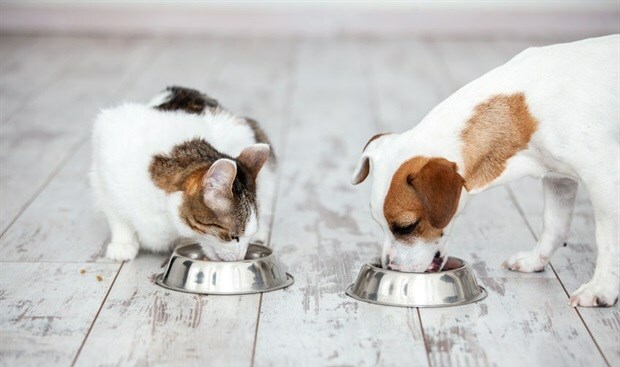 So, given that more people are trying to do their bit to help save the plant and keep meat consumption to a minimum, it’s not surprising pet food has become the latest sector to think about its environmental credentials. Pet food trends tend to lag human dietary trends by around 12-18 months. And there are now many opportunities for dogs or cats to eat a vegetarian, vegan, gluten-free, low-allergenic or super-food diet. Then there is also a big market in “raw foods”, which have become increasingly popular. These are comprised solely of premium human-grade meats, raw fruits and vegetables – and are unrefined and minimally processed. The environmental impact of pet food in the US alone is estimated to be around 60m tonnes of CO₂-equivalent methane and nitrous oxide production per year – which is a huge amount. So could insect-based pet food be the answer? Of course, it isn’t just pet food that comes under question for its environmental credentials. With an expanding global population, nutritional scientists have, for many years, been considering how to produce sufficient quality protein from more efficient sources. Of course, cynics might say the answer is to reduce pet ownership altogether. But it’s important to not forget the positive impact that pets can have on people’s lives. Dog ownership increases activity levels and social interactions and lowers risk of premature death. Having a family pet also reduces the chances of a child in that house becoming asthmatic – by exposing their immature immune system to novel antigens at an early age.